There is no more effective form of treatment than acting directly on the site of the disease. 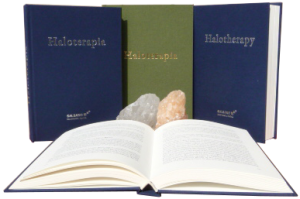 Halotherapy comes from the Greek halos meaning salt. The phenomenon of halotherapy is that the treatment takes place with the use of our body’s ingredients. Salt is essential as an ingredient in our body, it plays an important role in proper functioning. Halotherapy has no side effects because the healing substance is natural salt for our body. It is one of the most effective methods of physiotherapeutic treatment. Acting stimulus on the body, we activate extremely self-defense abilities. Physiotherapeutic treatment assumes a natural training of the body which strengthens it and builds immunity. Unfortunately, not many of us want to use the potential of sleeping in our body. We respond to the signals delivered from the body by taking an anti-bolus medicine. Advertising slogans for many become scientific knowledge. How long can we afford to treat the symptoms? True health awareness is characteristic of the few. How can we make informed decisions about health without having knowledge about the functioning of the body? It seems logical, however, many of us instinctively resort to painkillers. The temporary elimination of only symptoms leads to the fact that the disease continues to develop, but quietly, at a convenient time to strike with redoubled power. Thanks to the progress of science and technology, we can use halotherapy in previously inaccessible forms. Modern medical devices are able to produce as fine aerosol particles as 1-5 μm, which allows for precise arrival to the site of the disease. It is not surprising, therefore, that clinical trials show high efficiency of halotherapy in the treatment of even difficult diseases such as cystic fibrosis. Join the group of people for whom health is a value. Being aware of the beneficial effects of salt on our body, we can take full advantage of its properties. Halotherapy is a safe and effective form of treatment and prophylaxis.